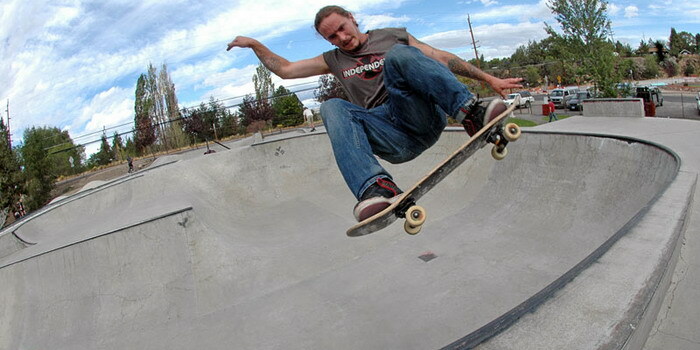 Directions to Redmond Skatepark in Oregon: Hwy 97 turns into 5th and 6th St. in Redmond. From either of these, go west on SW Black Butte Blvd to 15th St. At 15th St. turn right (north) and follow it past the High School. Make another right at the stop sign (Antler St.)and follow down into the gully. The park will be on the right. Description: Another Dreamland creation, this park is about 15,000 sq. ft. 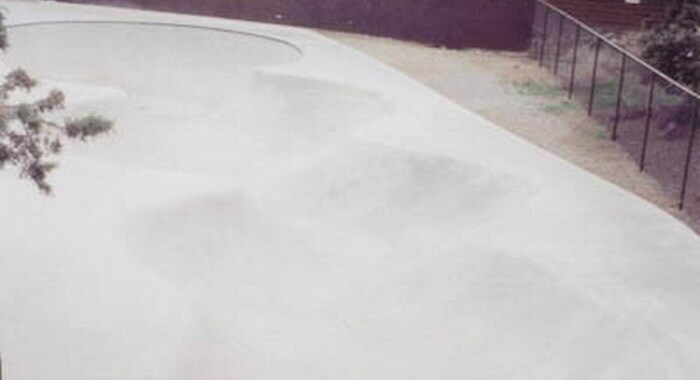 There is a T-bowl with pool coping, an L bowl, and a nice snake run that allows transfers into the L bowl at the end. There is also a street area with a couple of ledges, banks (one of which has a long rail going down it) and small quarters.